The two companies announced that during the first phase their primary focus would be the Indian market. Maruti Suzuki would be sharing its Vitara Brezza platform with Toyota in exchange for Corolla Altis. One of the major aspects that the two companies would be looking at in the Indian market is the widespread implementation of electric and hybrid technologies. Toyota and Maruti Suzuki have once again come together, expanding their collaboration not just in India but abroad. The two automotive giants will manufacture electric vehicles across more shared platforms. Both Japanese multinationals recently announced their strategic tie-up that would help them to jointly share platforms, engines, hybrid and electric technology. The two companies announced that during the first phase their primary focus would be the Indian market. Maruti Suzuki would be sharing its Vitara Brezza platform with Toyota in exchange for Corolla Altis. Both companies also decided to share the research and development of hybrid and electric cars, especially designed for the Indian market. One of the major aspects that the two companies would be looking at in the Indian market is the widespread implementation of electric and hybrid technologies. The companies aim to achieve this by locally procuring HEV systems, engines and batteries. 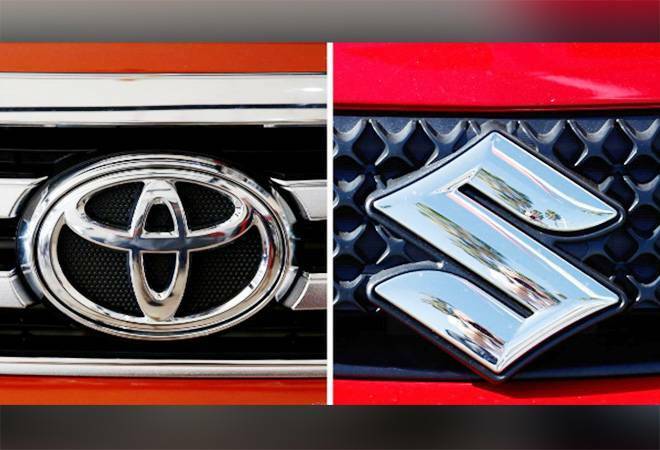 For Toyota, this collaboration will bring the OEM supply of the two compact vehicles built on Suzuki platforms (Ciaz and Ertiga) to Toyota in the Indian marketplace. The provision of electrified technology and electrified vehicles is one of the biggest strengths of Toyota. However, Suzuki has provision of compact vehicles and powertrains. Toyota will supply THS (Total Hybrid system) to Suzuki on a global scale. "When it comes to vehicle electrification, which is expected to make further inroads, hybrid technologies are seen as playing a huge role in many markets, as from before. Widespread acceptance is necessary for electrified vehicles to be able to contribute to Earth's environment. Through our new agreement, we look forward to the wider use of hybrid technologies, not only in India and Europe, but around the world", said Akio Toyoda, President of Toyota. "At the same time, we believe that the expansion of our business partnership with Suzuki-from the mutual supply of vehicles and powertrains to the domains of development and production-will help give us the competitive edge we will need to survive this once-in-a-century period of profound transformation. We intend to strengthen the competitiveness of both our companies by applying our strong points and learning from each other", he further added. Osamu Suzuki, Chairman of Suzuki, said that, "At the time we announced our scope of cooperation in May last year, I spoke that we will strive for success globally. I have seen progress in the partnership since then, and it is my pleasure to be able to make this announcement today regarding the status of partnership on a global basis, including Europe and Africa. In addition, we appreciate the kind offer from Toyota to let us make use of their hybrid technology. We will continue our utmost efforts". What's interesting, however, is to see both the companies compete in the same market in which they will be developing the same vehicles. According to the automotive companies, they aim to collaborate in the future as well to achieve a more sustainable approach to future mobility in the society, within the legal framework.